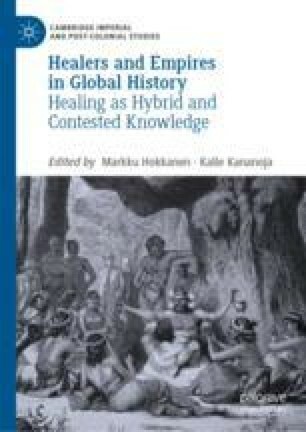 This chapter explores the relations between medical and religious systems in nineteenth-century Lakota (Western [Teton] Sioux) culture, demonstrating the inherent plurality and fluidity of traditional Lakota healing practice. Lakota magico-medico-ritual culture was and is idiosyncratic and anti-dogmatic, often based on visions and revelatory experiences, and hence open to innovation and practical adaptation. That said, there were and continue to be specific types of practitioners who used specific medicines and techniques, conducted specific ceremonies, and/or were affiliated with specific illnesses and spirit persons, illustrating structure within an otherwise varied, personalistic magico-medico-religious system. This chapter explores three distinct yet overlapping practitioner categories in traditional Lakota healing and ceremonial practice based on ethnohistorical research and contemporary ethnographic fieldwork with Lakota communities.